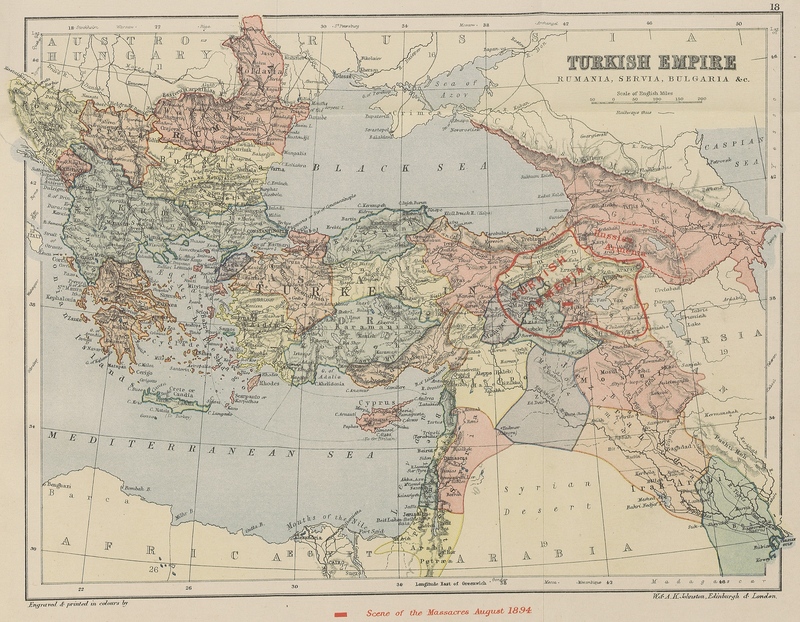 I wish I could say more about these maps, but I'm mostly posting them in the hopes that they will be of interest to others working on this subject. 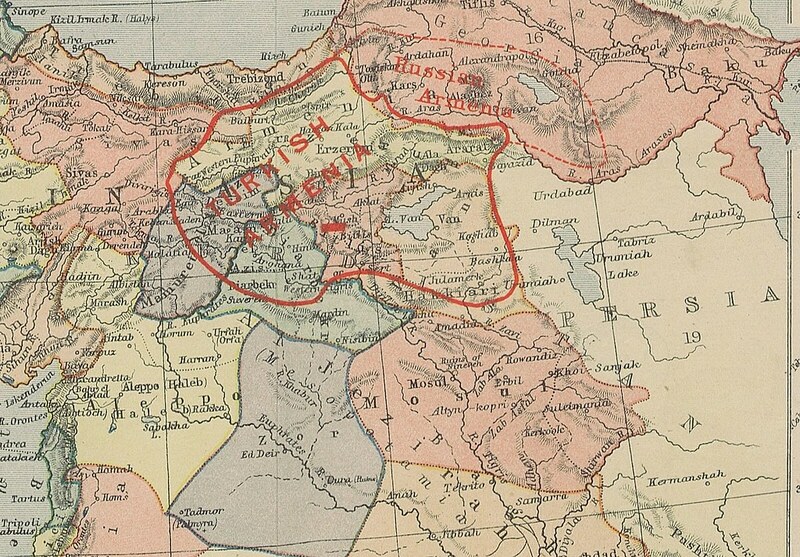 Both show the location of the 1894 Armenian massacres, as well as the region "commonly called Armenia." The map above is a close up of a larger map that can be seen in its entirety here. 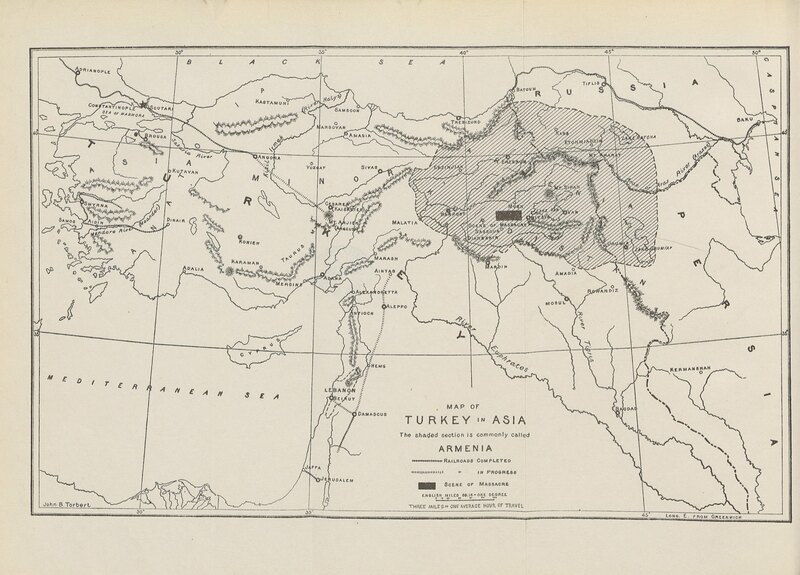 The map below appeared in "The Armenian Crisis in Turkey: the massacre of 1894, its antecedents and significance, etc." by Frederick Davis Green. Both are courtesy of the British Library amazing online collection, which everyone should check out.